The week marks the start of a very special time of the year. A time where we celebrate the joy of reading, even when some people disapprove of it. 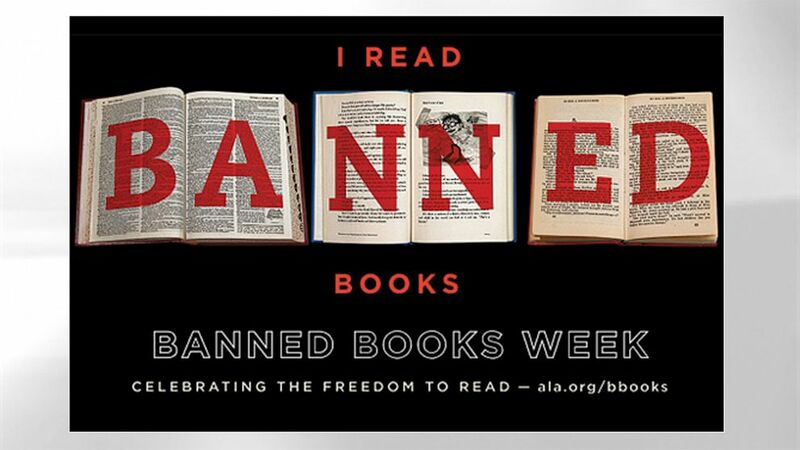 That’s right, I’m talking about Banned Books Week, which runs through October 3. It’s easy to think this is the sort of things confined to things like dictatorships of various flavors or dystopian societies, but the truth is that books get challenged here all the time. According to the American Library Association (ALA) there were at least 311 challenges in 2014. Challenges range from moral hand wringing (The Absolutely True Diary of a Part-Time Indian, by Sherman Alexie), to the bizarre (Hop On Pop, by Dr. Seuss), to the deeply ironic (Fahrenheit 451, by Ray Bradbury). What can you do to support Banned Books Week? Well, first of all, you can see if your local library is holding any events. The ALA website lists a bunch of online events as well. And if you want to support comic books, there’s also a Humble Bundle containing a bunch of excellent, but frequently challenged comic books. Granted, it doesn’t have any any of the books I just mentioned, but it’s got Bone by Jeff Smith. If you haven’t read that, it’s a fantastic all-ages book, and yet it is frequently challenged for complaints of being “politically, racially, and socially offensive.” That’s actually kind of impressive, given it’s a comic where some cartoons try to cheat in a literal cow race. The Villains Throne: What Makes a Villain?